Switzerland is one of the most beautiful countries in Europe. Famous for its picture perfect mountains, lakes and waterfalls. The two weeks I spent here were magical. But if I’m being honest, Switzerland surprised me. I knew it was blessed with amazing natural beauty, but all the pictures and videos I’d seen failed to do it justice. Switzerland might be a small country, but its society is mutlicultural supporting 4 languages (German, Italian, French and Romansh). Its a tourist mecca without being over-commercialized. Its one of the safest countries in the world that invites you to explore it. 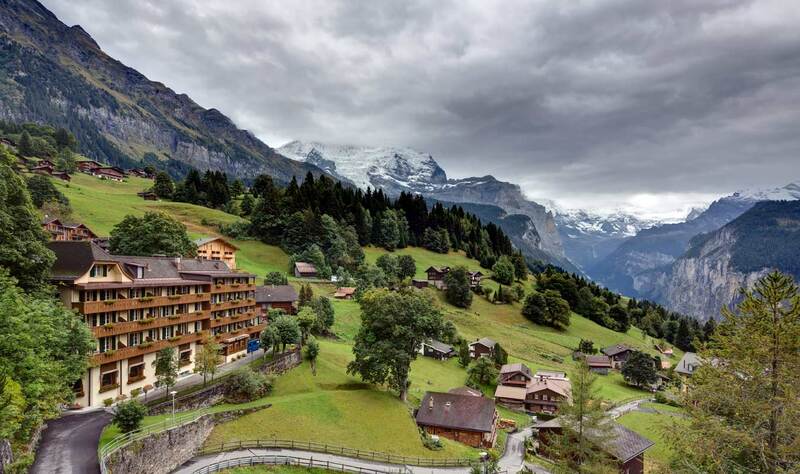 This is my list of top reasons why you must visit Switzerland. Its impossible to overstate how beautiful Switzerland is. When I first started my travels across this country, I’d sit with my face literally glued to the train’s windowpane. My brain couldn’t process how a place on Earth could be this perfectly stunningly beautiful. What’s impressive is the diverse types nature that’s available here. There’s mountains, lakes, green meadows, idyllic villages and picturesque waterfalls. Each looked like they were painted in place by a master artist. 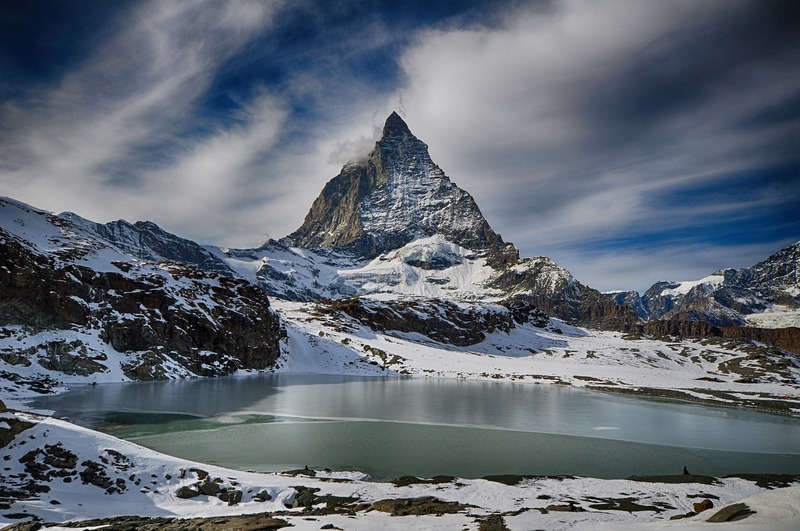 Switzerland is blessed with some of the world’s most beautiful mountains. You can enjoy them in so many different ways. Take a cable car or train to the peak of these mountains to behold their panoramic views, hike along their walking trails and immerse yourself in the stunning nature that surrounds you or enjoy lunch at a cafe and marvel at the majestic mountain peaks. 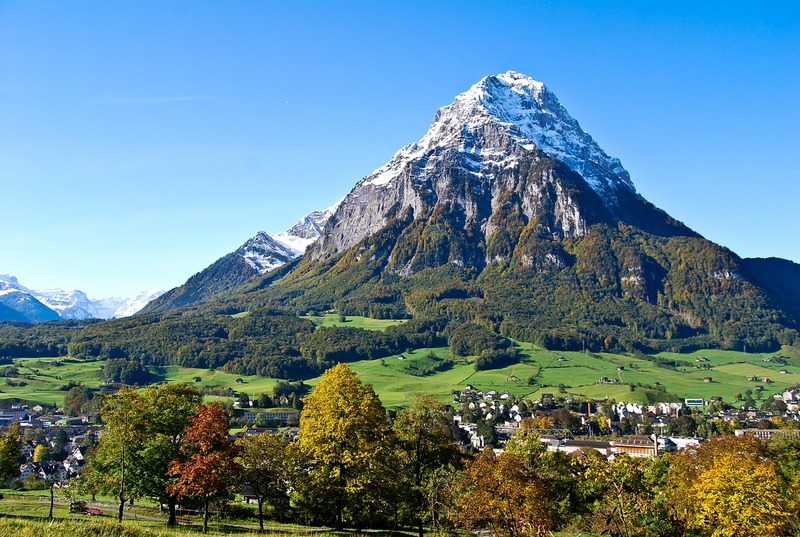 My favorite mountains are: Matterhorn, Alps, Eiger and Jungfrau. 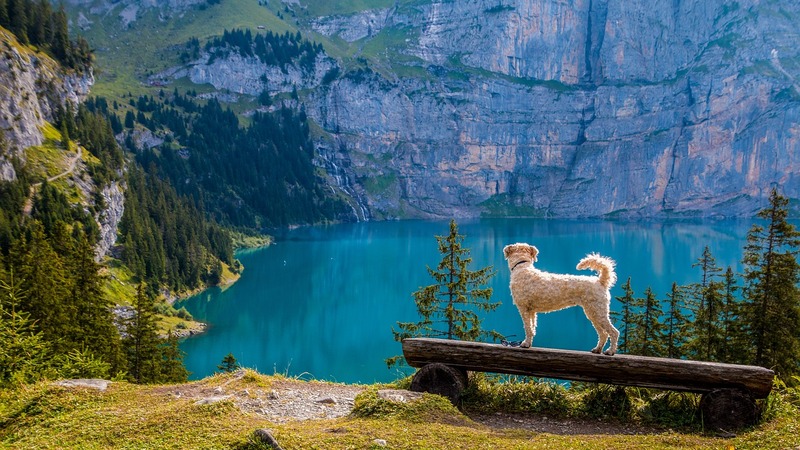 One of the best things you can do in Switzerland is hike. This country has tons of trails you can choose from, and they cater to different fitness levels. Hiking was the highlight of my trip in Switzerland. I loved walking the trails at my own pace enjoying the views. It was a moving and soul nourishing experience. 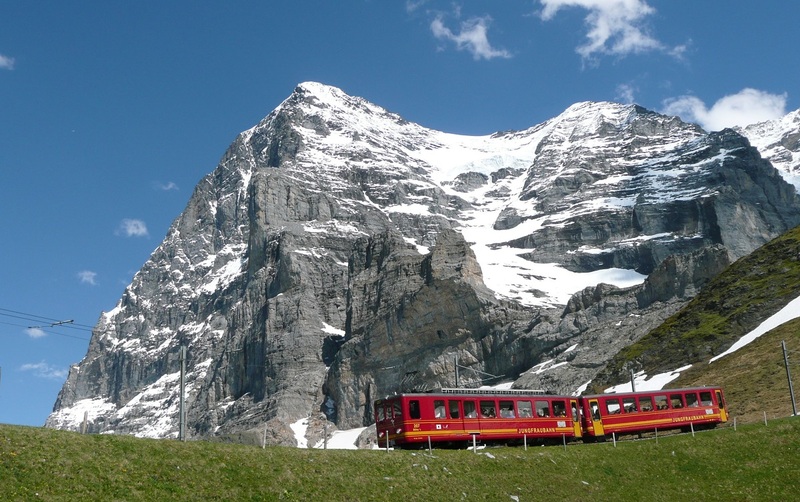 Personally, I think the best trails can be found in the Bernese Oberland in the Jungfrau region. It’s heaven on Earth. Swiss chocolates have a well deserved reputation for being the best in the world. Choose from a wide variety of brands, each with a long history of producing chocolates, such as Callier, Suchard and Chocolat Villars. Even better, check out a tour and see how these decadent delicacies are made. 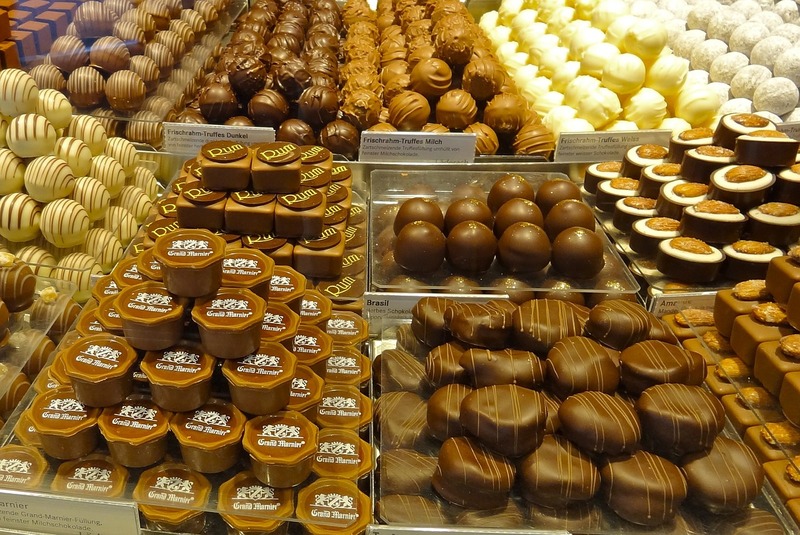 Switzerland has some of the best chocolates in the world. There are castles throughout all three of Switzerland’s regions, and they’re all breathtaking. 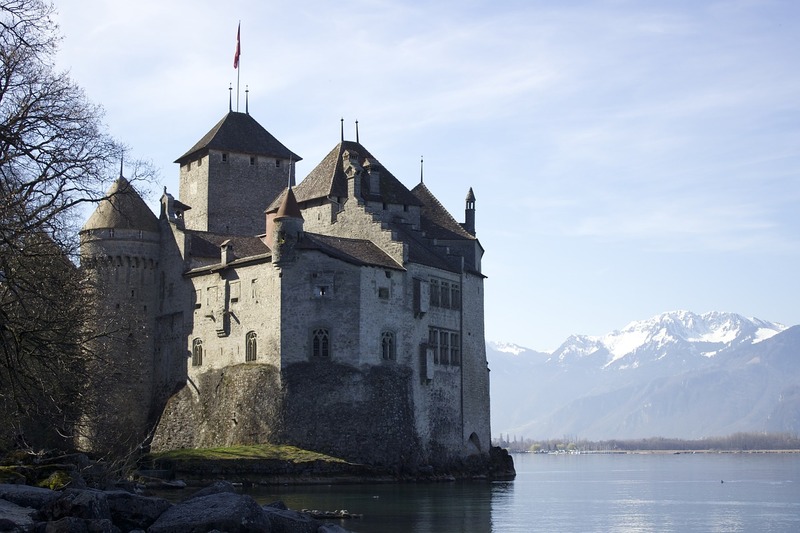 Most offer incredible views, like the Chillon Castle in Veutaux, of lakes, meadows or mountain ranges. Seeing these castles in person immediately transports you back in time. 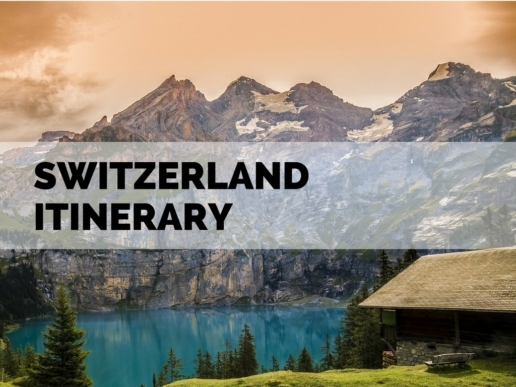 Besides Chillon, other castles to checkout include: the Castles of Bellinzona, the Munot Fortress in Schaffhausen and the Hohenklingen Castle in Stein am Rhein. Switzerland is a unique country, the Swiss don’t have one national language they have 4! Depending on the region that you’re in, the locals may speak German, French, Italian or Romansh. At the same time, most people in major cities speak English. So, unlike Germany, France or Italy, you don’t have to worry about a language barrier. Switzerland’s waterfalls are among the highest and biggest in Europe. 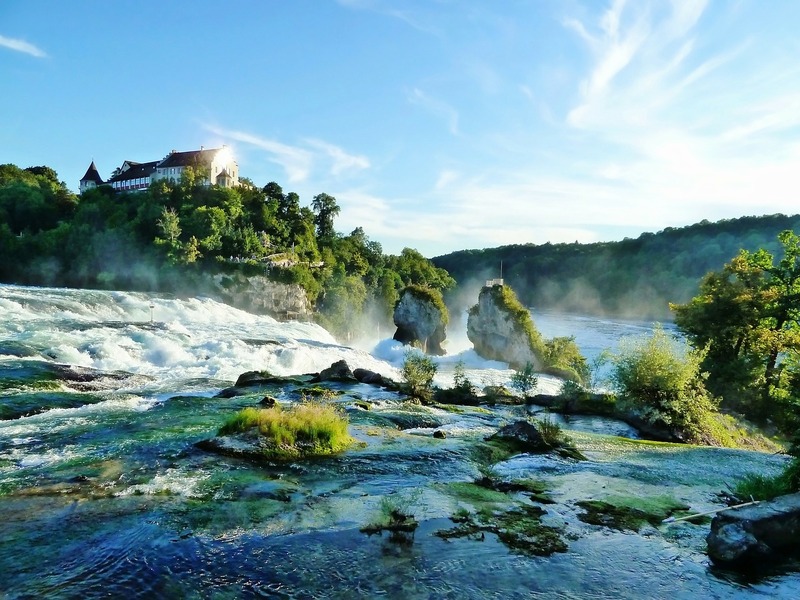 First and foremost on the list is the Rhines Falls, near Schaffhausen. This is the largest plain waterfall in all of Europe, and (in my opionion) the most impressive waterfall in the country. The Bernese Oberland is home to 72 spectacular falls in the Lauterbrunnen Valley, highlights include Staubbach Falls and Trumelbach Falls.